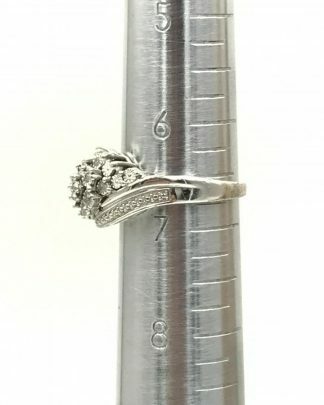 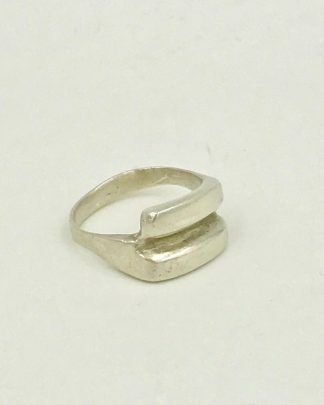 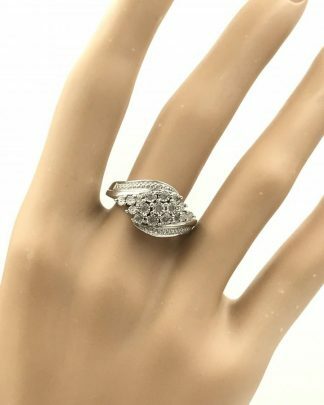 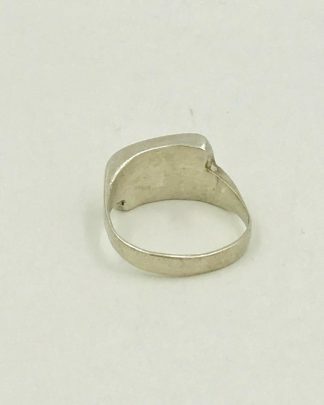 This is an absolutely stunning vintage 10k white gold ring. 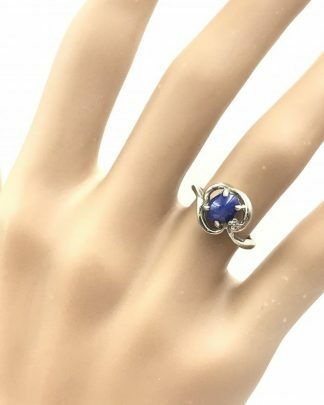 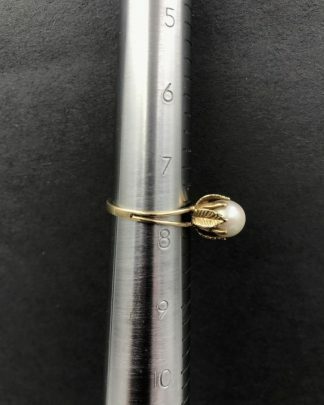 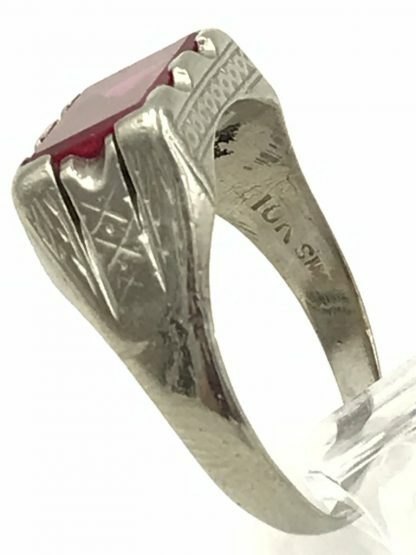 This lovely ring has fancily engraved shoulders. 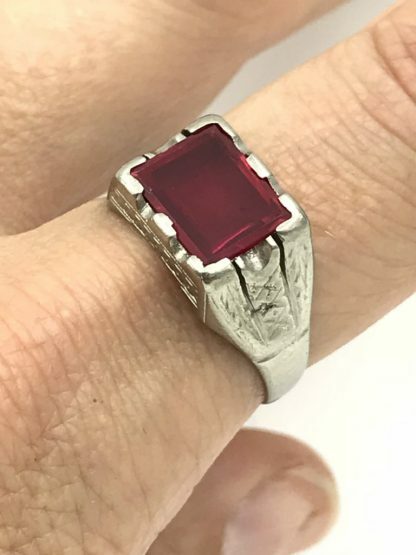 It holds a huge rectangular red ruby gemstone. 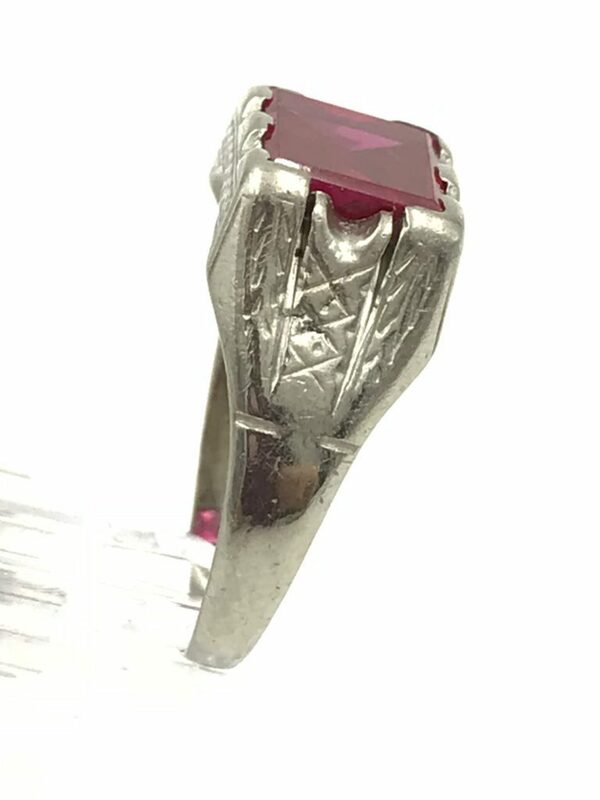 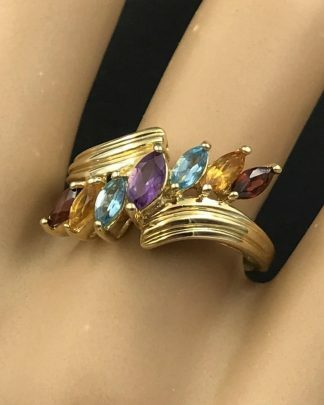 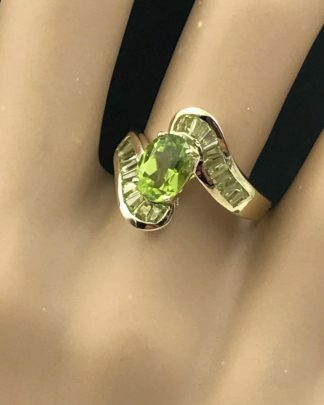 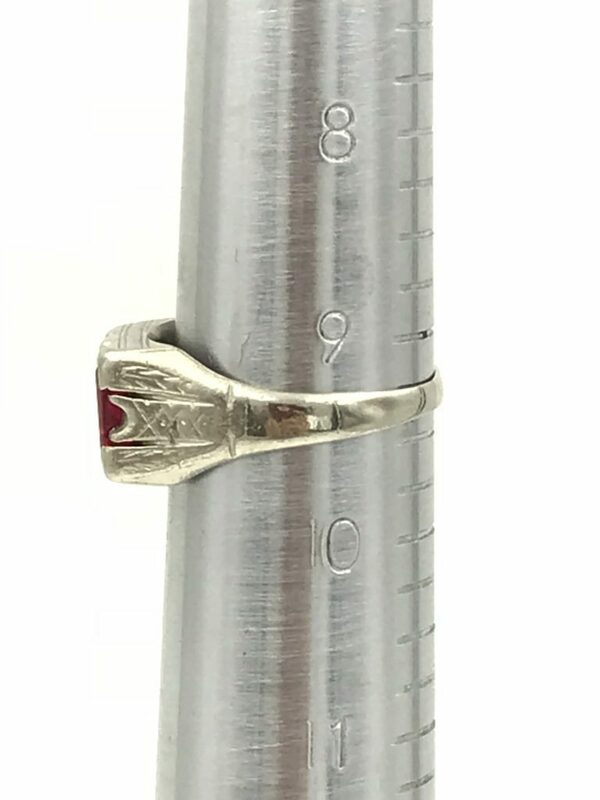 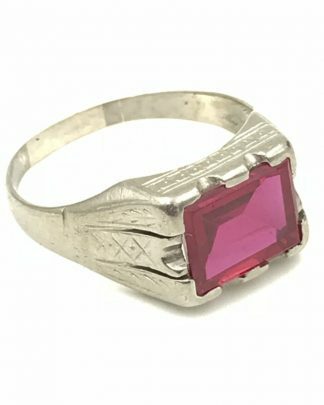 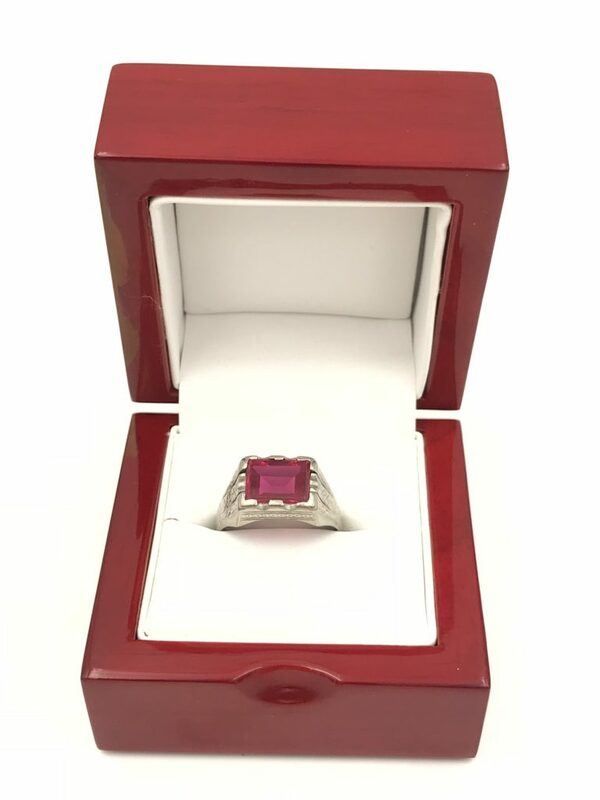 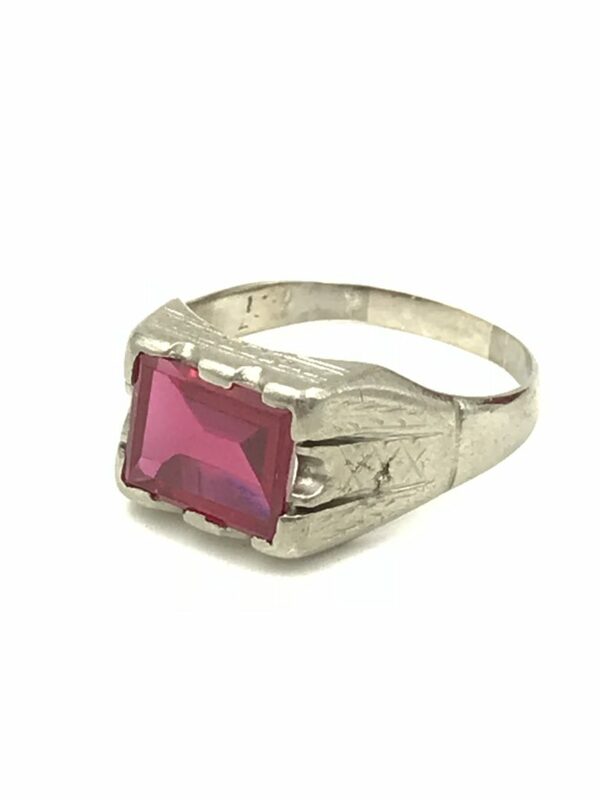 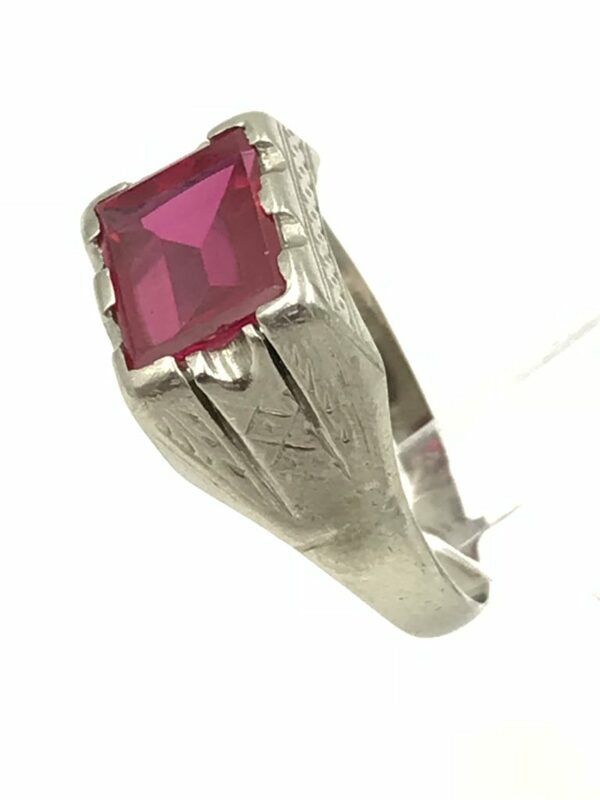 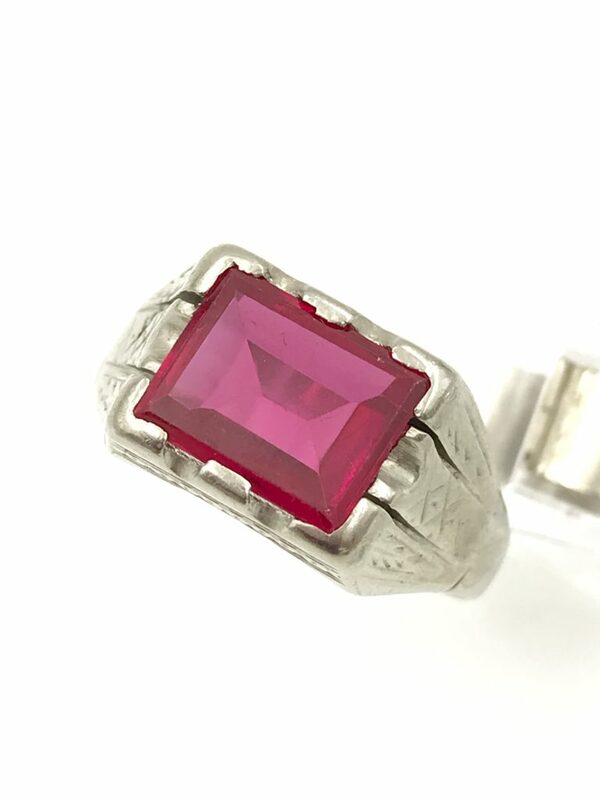 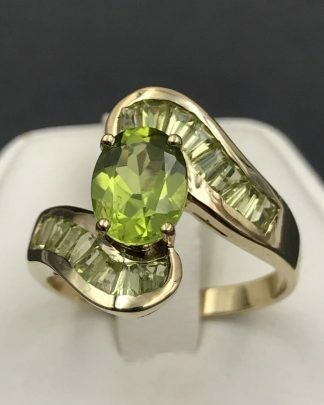 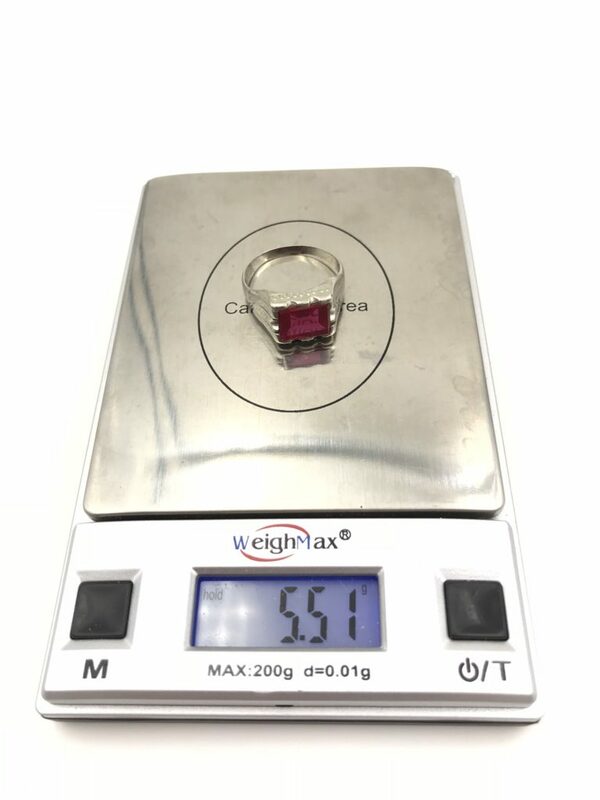 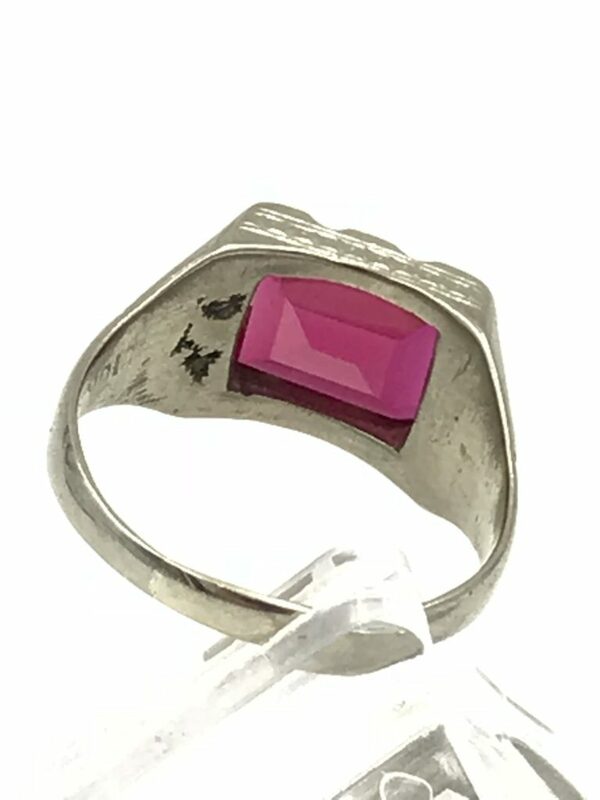 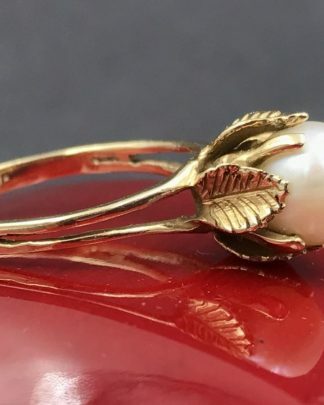 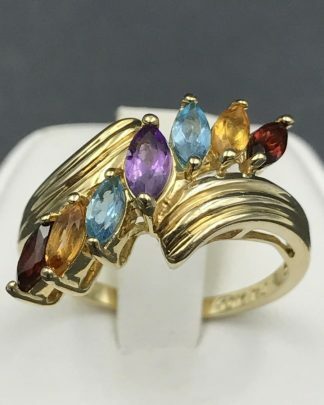 I have not had this ring appraised, and I am not sure if the ruby gemstone is natural or simulated. 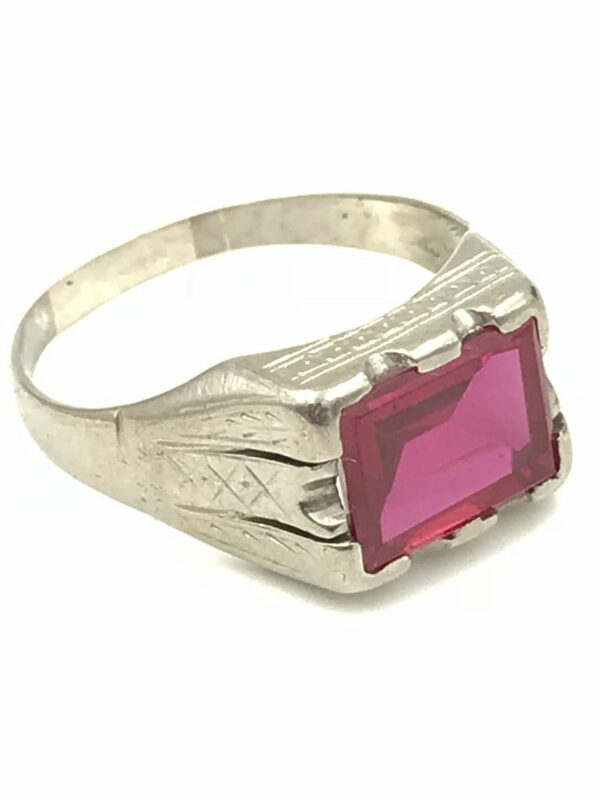 Very unique and rare piece. 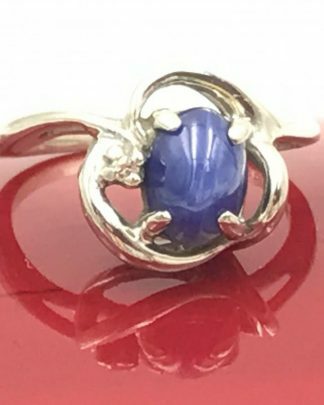 Good shape for its age.